Brave is the one who starts something new! An original concept is always a topic of attraction, therefore its creator becomes the center of the world and occupies an interesting amount of people’s attention. 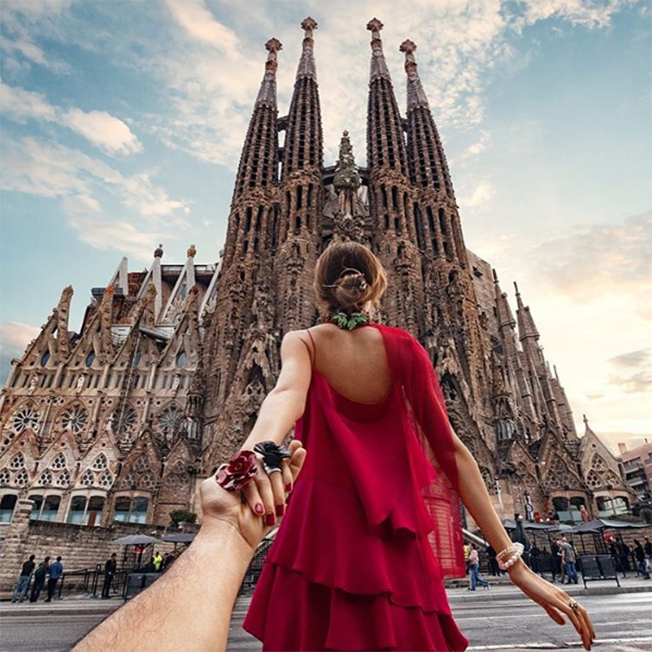 Murad Osmann was a boy with an artistic soul who fell in love with Nataly. He allowed his soul to explore hers, and made their love story the heartbeat of his Photography project! 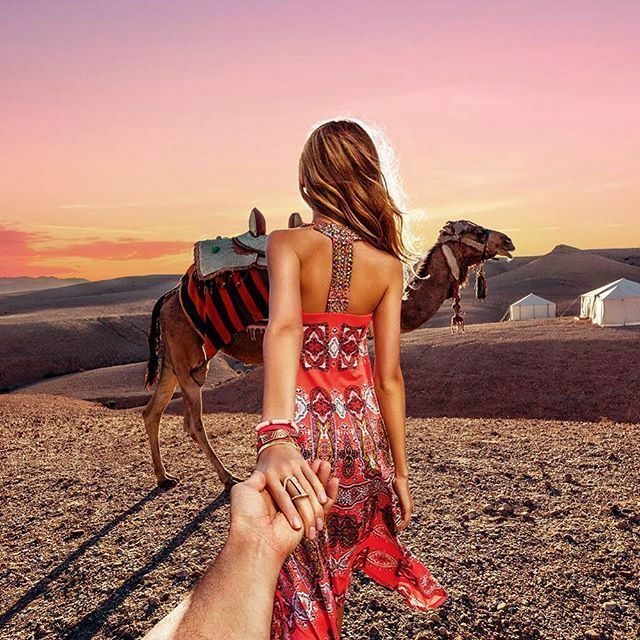 Murad has decided to let his girlfriend hold his hand and guide him towards life and beautiful views. He has been capturing moments where Nataly’s back was always gorgeously framed in the center, therefore he created the reason that provoked people’s satisfaction! The world witnessed this young couple’s love until their wedding and more… Murad has been working on many other projects, but this one is still captured by his lens! No One’s Company met many profiles that tend to separate personal from professional, but what if the two are meant to go together? An individual personal life creates great peace and balance in its talent and helps him to be more productive, so admire this story and learn something from it that might be a twist towards your success!